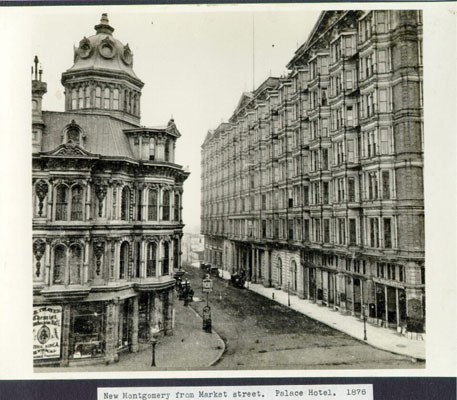 Interesting fact: 628 Montgomery, or more commonly known as Montgomery Block, was billed as the safest building in San Francisco when it was first built. 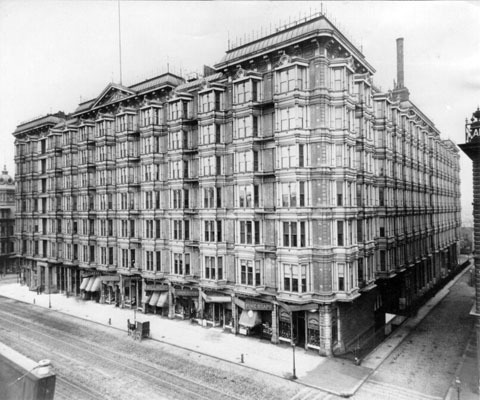 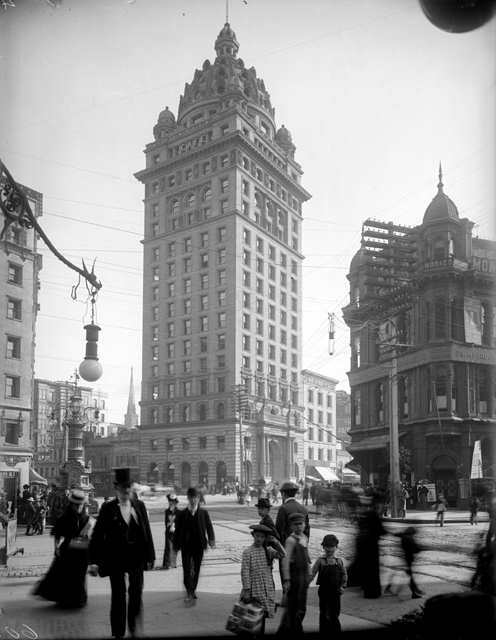 Indeed, it was the only major downtown building to survive the devastating 1906 earthquake and fires. 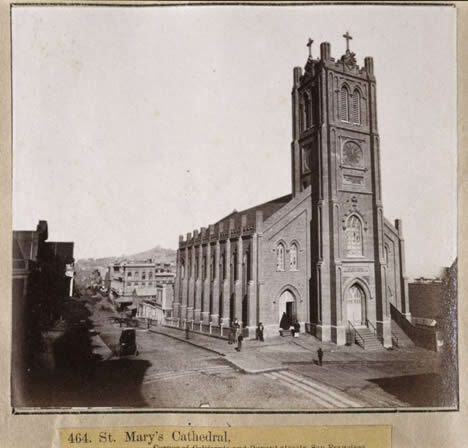 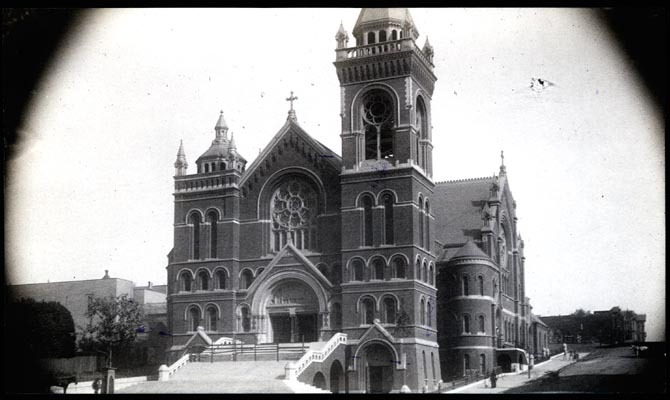 Interesting fact: While only boasting one floor above ground, Old Saint Mary’s Cathedral held the title of San Francisco’s tallest building for nearly 20 years. 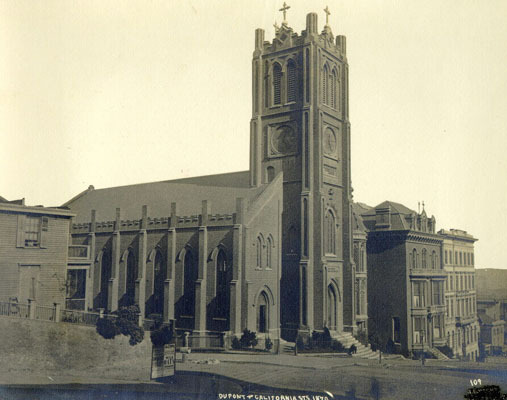 When it first opened, the cathedral was the tallest building in San Francisco and California. 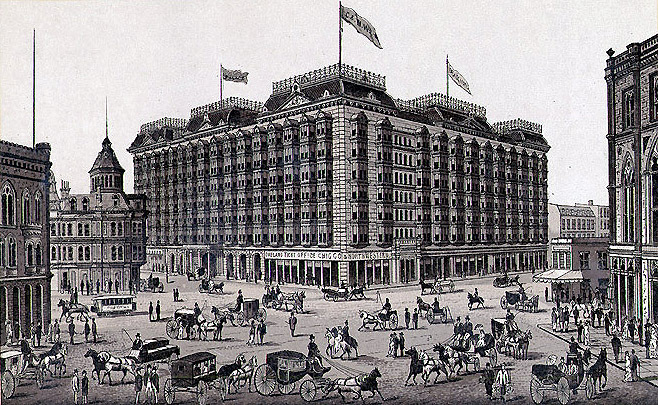 Interesting fact: When the original Palace with 775 rooms was constructed, it was said to be the largest hotel in the Western United States. 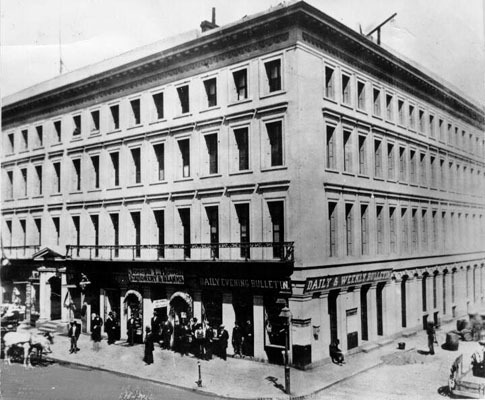 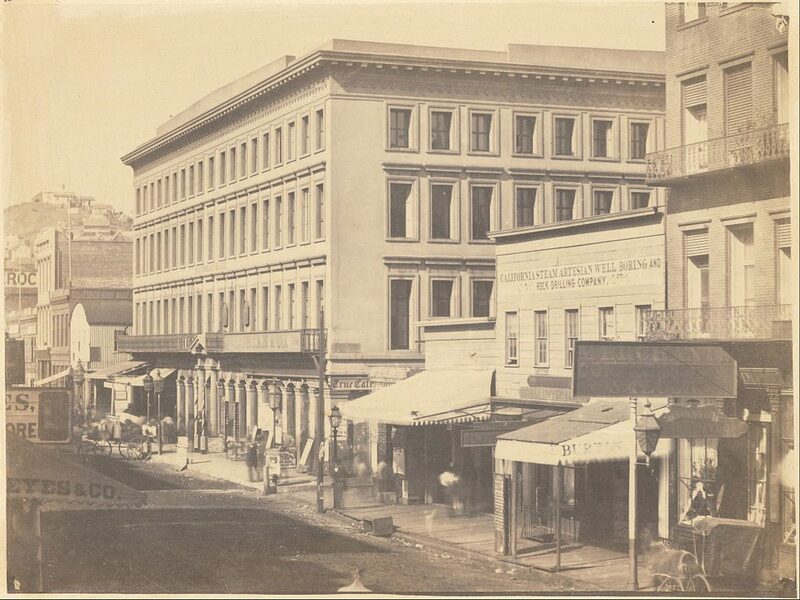 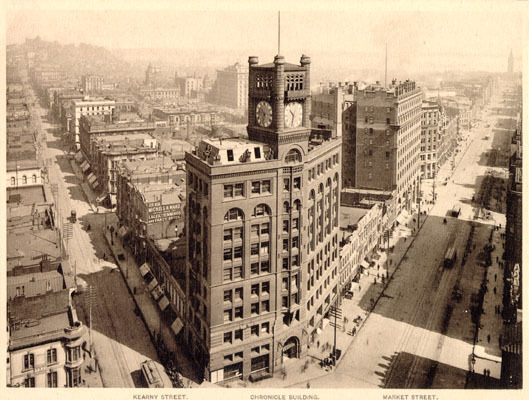 Interesting facts: The Chronicle Building was San Francisco’s first skyscraper and the tallest building on the West Coast when it was first completed in 1890. In 1905, a celebration of the re-election of Mayor Eugene Schmitz stopped in front of the building and launched fireworks, which ignited the wooden clock tower atop the building. 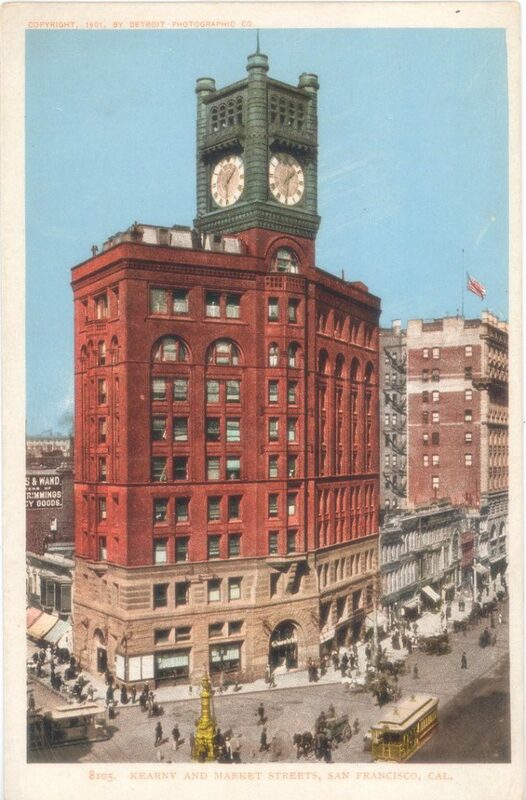 The damaged clock tower was removed and two additional floors were added along Market Street and a 16-story annex along Kearny Street. 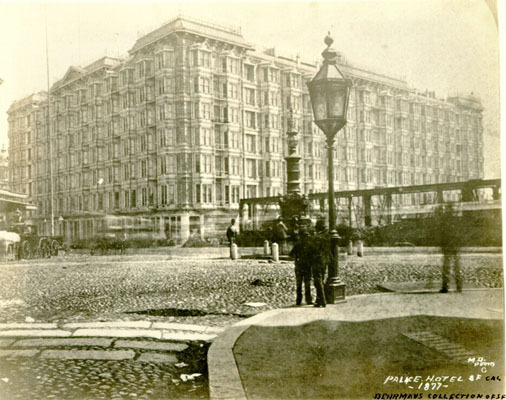 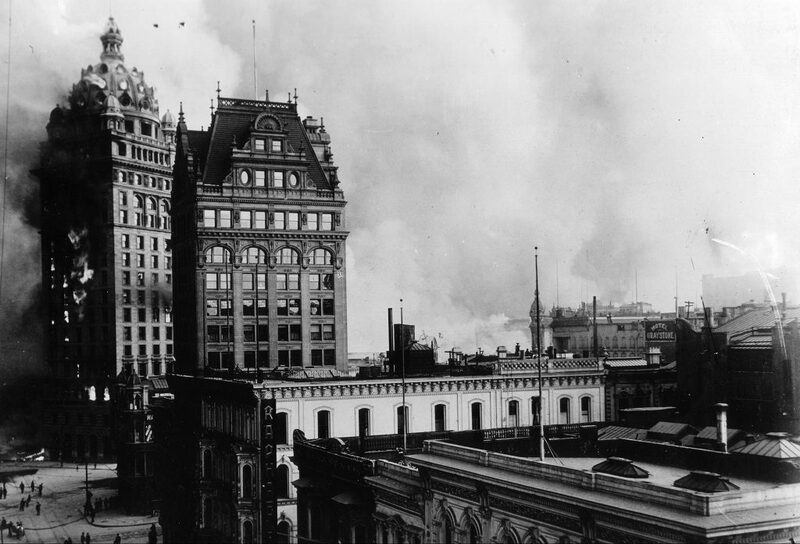 Interesting fact: The Call Building was gutted by the fires that followed the 1906 earthquake. 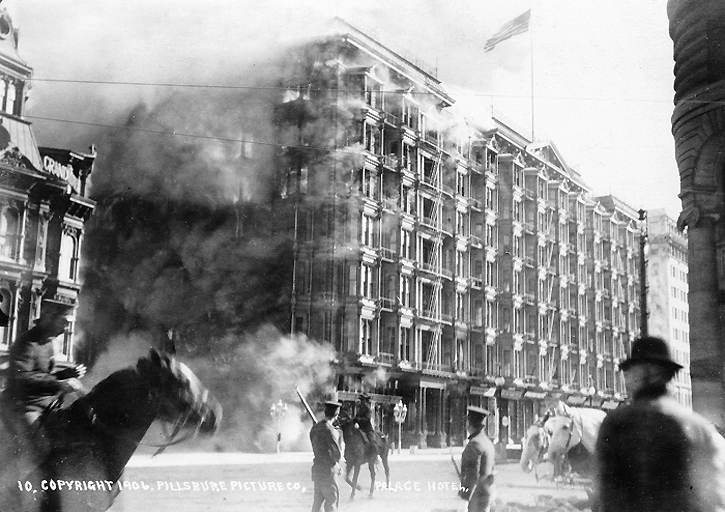 Though badly burned, the exterior structure survived the flames. 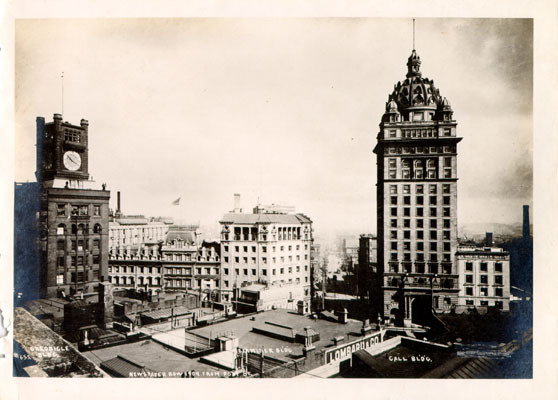 In 1938, Albert Roller renovated the building removing the baroque dome, and reduced the height by 298 feet. 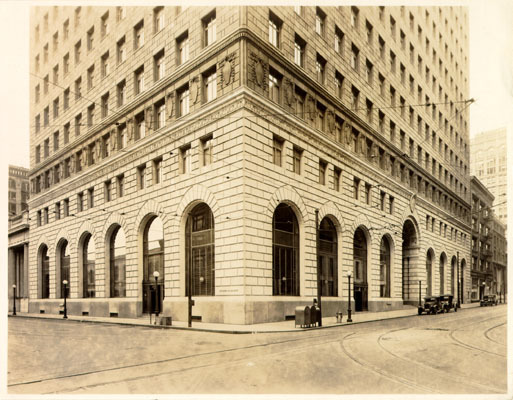 Interesting fact: Architect George W. Kelham designed the Standard Oil Building for John D. Rockefeller and modeled it after New York City’s Federal Reserve Bank building. 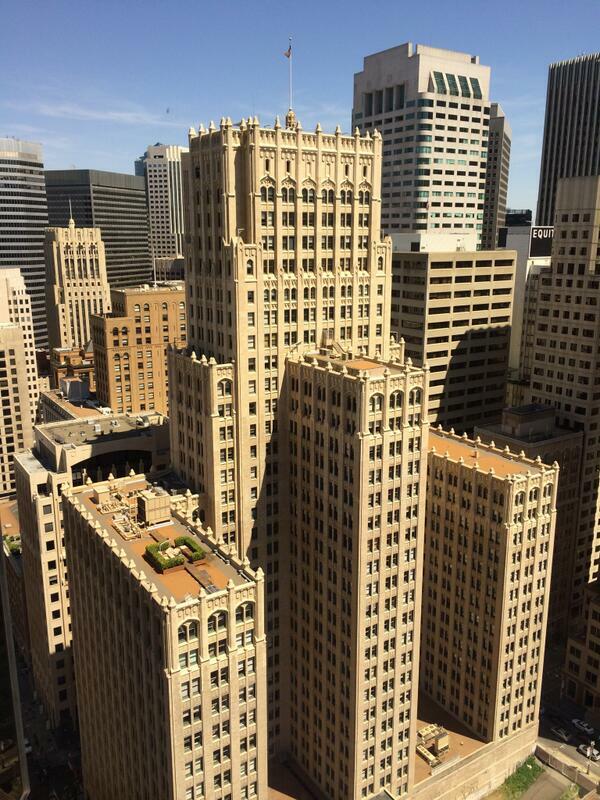 Interesting fact: There are eight statues of eagles that are nested at the top of this iconic art deco landmark. 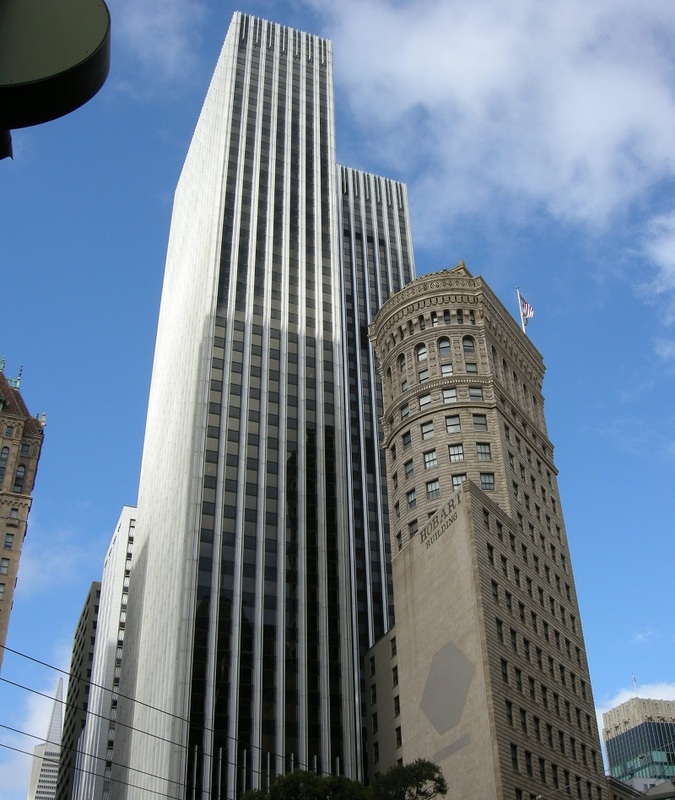 Today, Yelp headquarters is one of its main tenants. 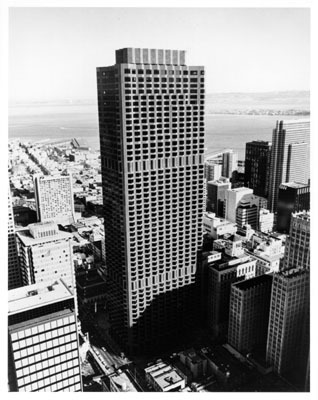 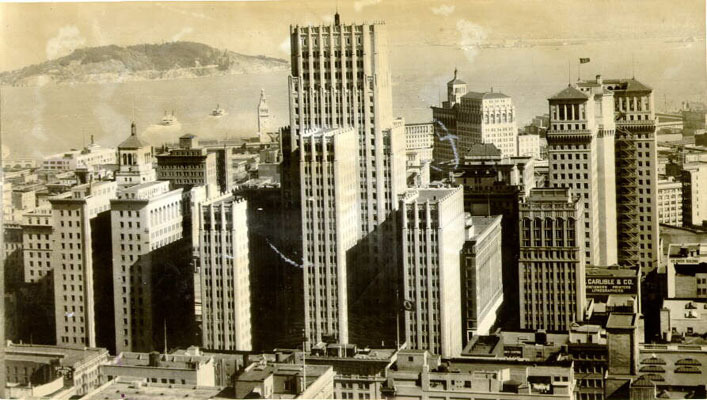 Interesting fact: For 38 years the Russ Building and the Pacific Telephone Building were co-holders of San Francisco’s tallest building title. 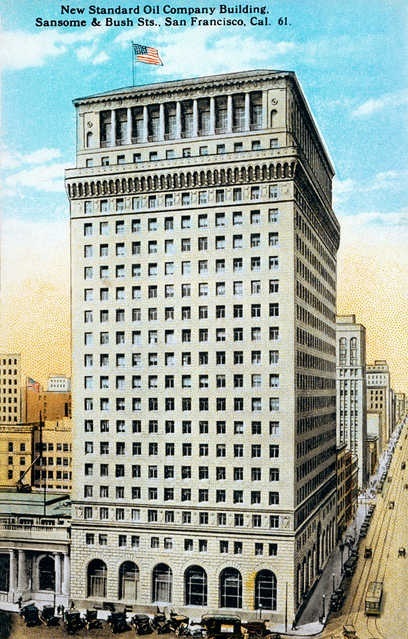 The Russ Building had the city’s first indoor parking garage. 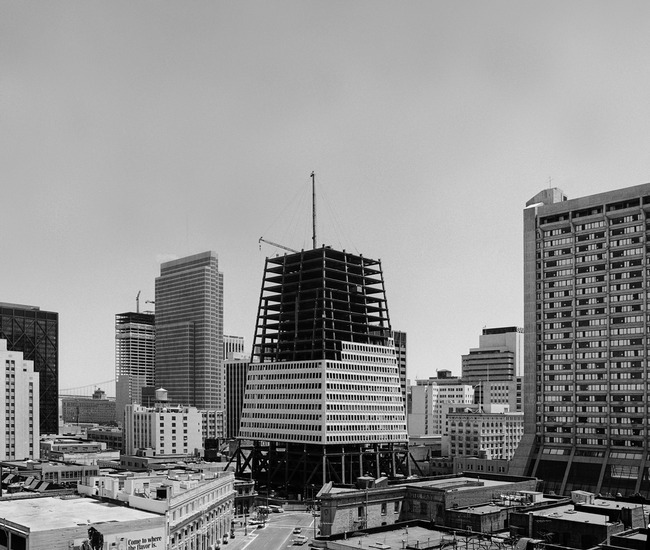 Interesting fact: When the tower was completed in 1964, it was the second building in San Francisco larger than 400,000 square feet. 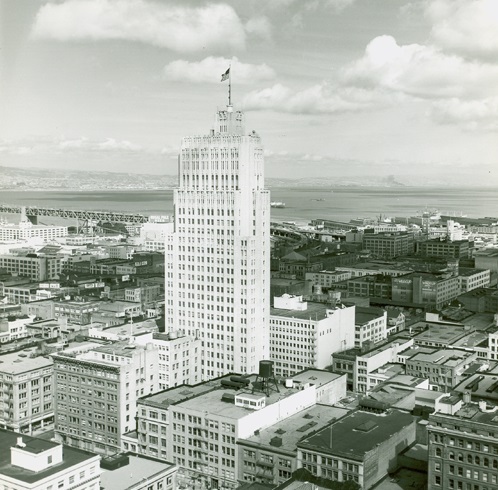 It also became the tallest building in all of California, replacing both the Russ Building in San Francisco and the Los Angeles’ City Hall building. 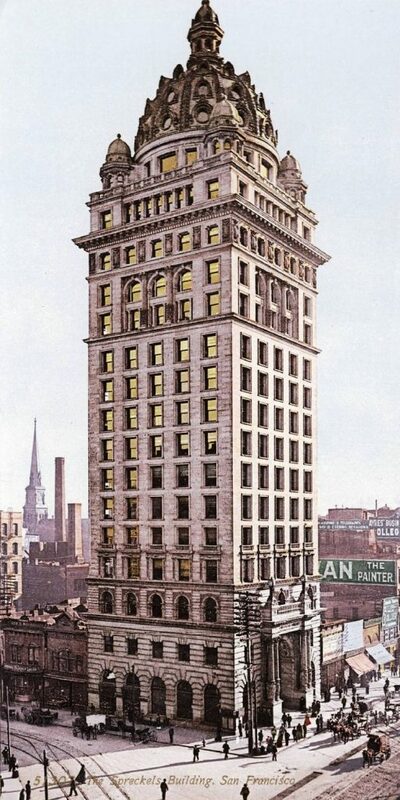 Interesting fact: 44 Montgomery Street building has direct underground access to the Montgomery Street Station. 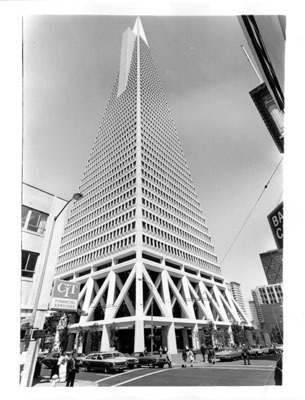 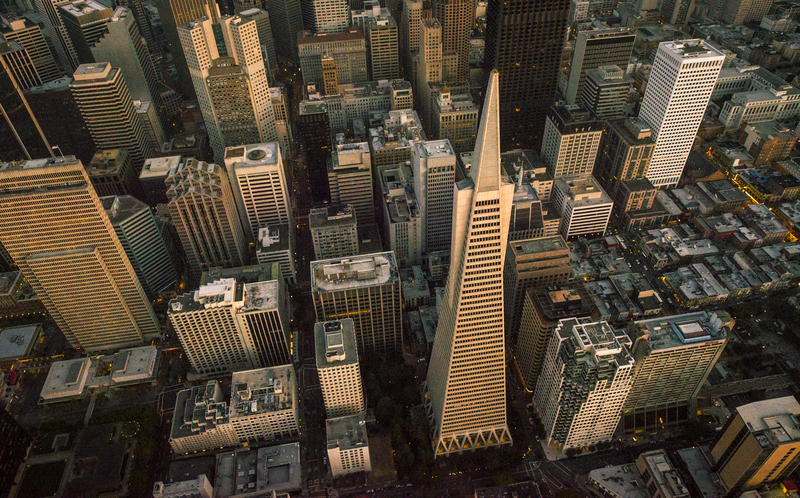 While it hasn’t held the title of “San Francisco’s tallest building” for more than 45 years, it does still currently rank as the city’s 11th tallest building. 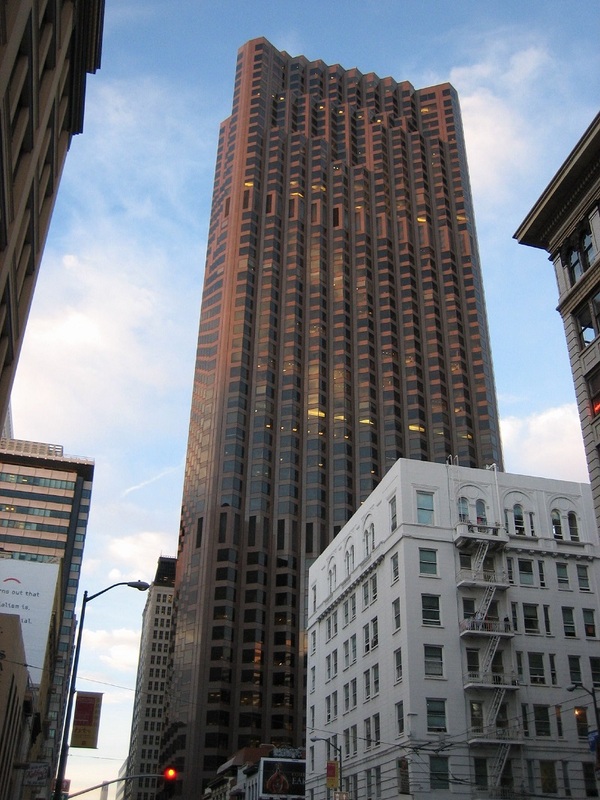 Interesting fact: 555 California, or “Triple Five,” has appeared on the big screen in such films as Dirty Harry, The Towering Inferno, and An Eye for an Eye. 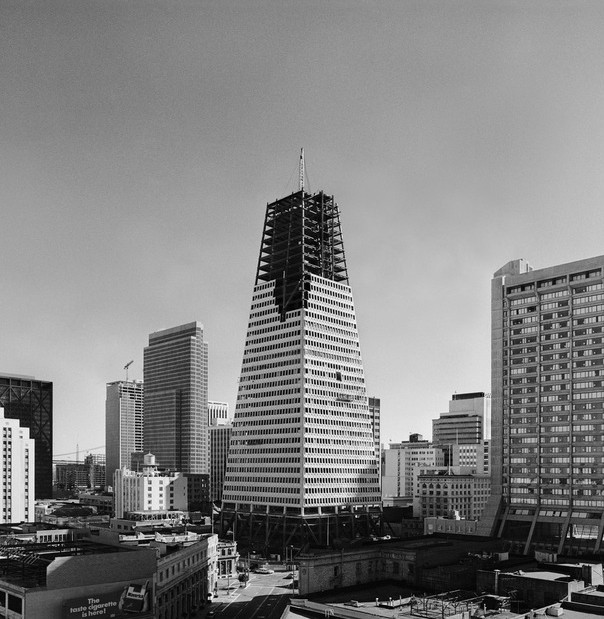 Years tallest: (currently under construction) 2018 – ? 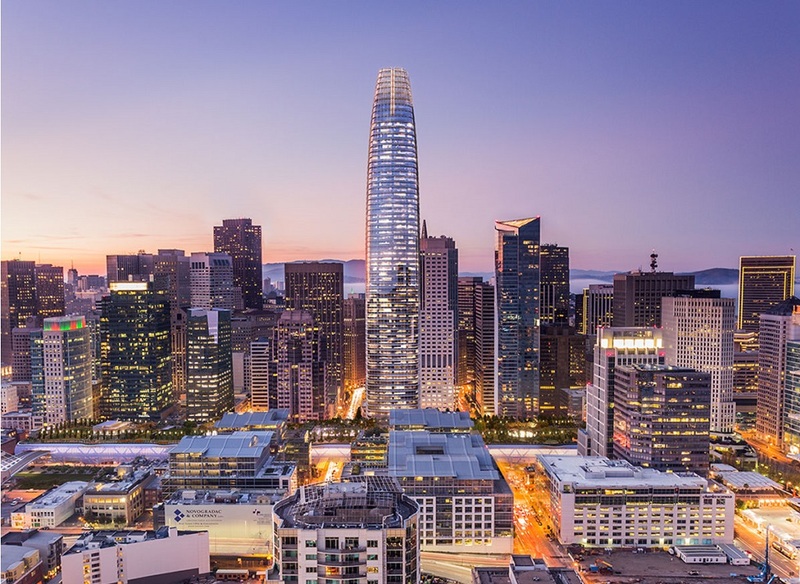 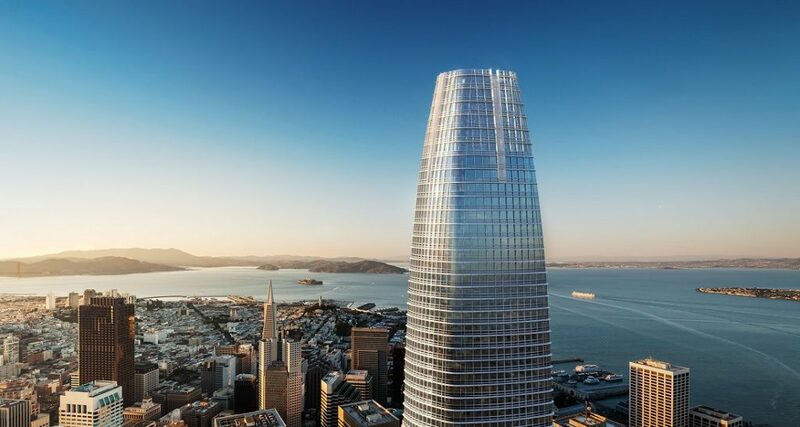 Interesting fact: San Francisco’s future tallest building will boast 1.42 million square feet of space.